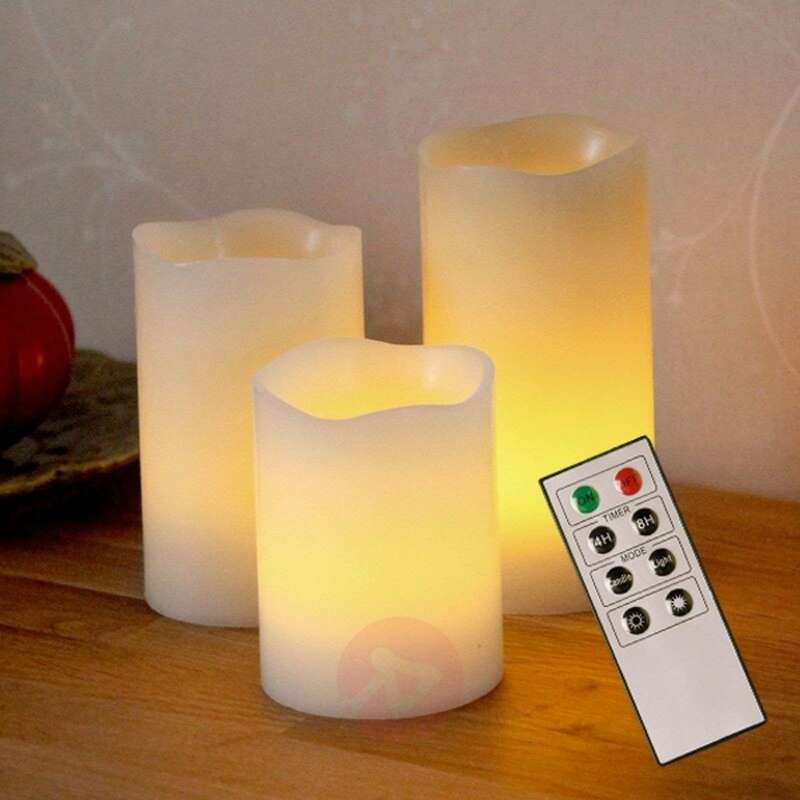 The three LED wax candles can be controlled via the remote control provided. They can be set to a flickering or a steady light. As the candles run on batteries, they can be placed anywhere. 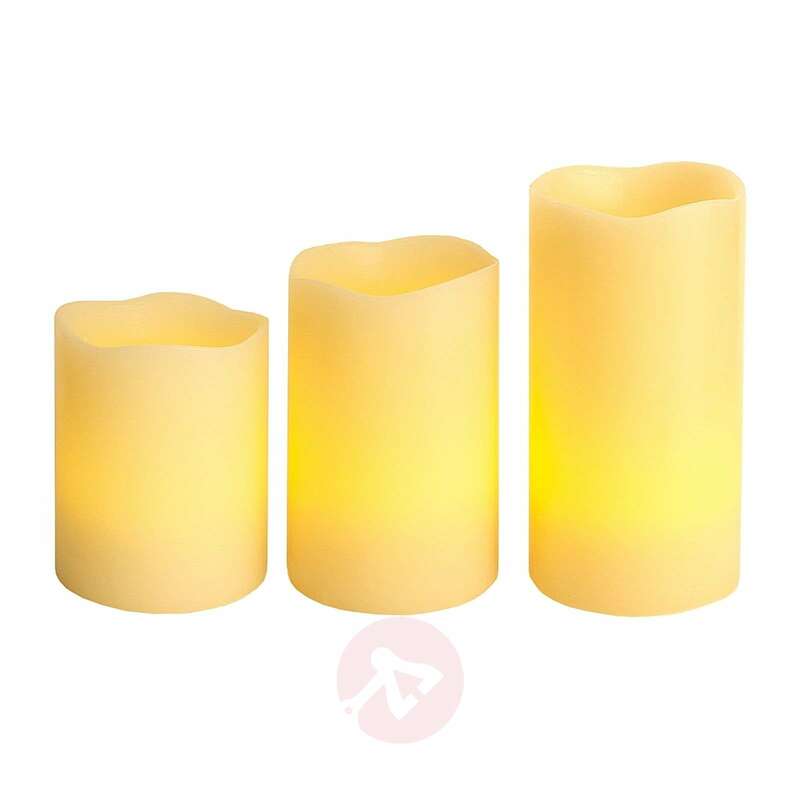 The candle set also features a timer function for 8 or 4 hours. - Each candle has a switch on the bottom. - Two AAA batteries (1.5 V) are required per candle and are not included. 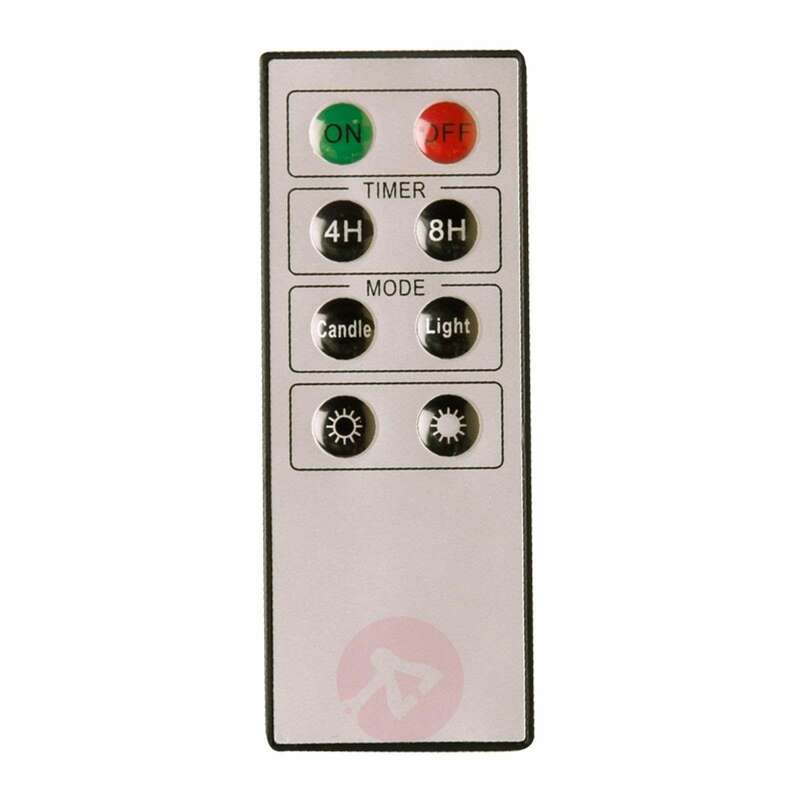 - Batteries for the remote control are provided. Very happy with my purchase. Exactly what I required.